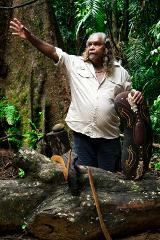 This fun, exclusive day tour allows you to join in a real Aboriginal cultural experience. A spectacular cultural journey taking you from coast to rainforest experiencing natural beauty and ancient culture of the Kuku Yalanji people. 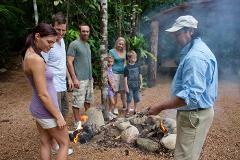 This fun, exclusive tour allows you to join in a real Aboriginal cultural experience. A spectacular cultural journey taking you from coast to rainforest experiencing natural beauty and ancient culture. A day you will never forget! Cooktown is one of Australia’s most exciting destinations and truly one of Australia’s great last frontiers This 1 day 4WD tour will take you through diverse landscapes of rich rainforest and outback Savannah, truly spectacular. Travel to Cooktown by 4wd along the scenic coastal drive through the World Heritage Listed Daintree National Park, enjoy up to 2 hours free time to explore historic Cooktown before your return flight with Hinterland Aviation to Cairns. Travel along one of Australia's most scenic coastal drives to Cooktown through the World Heritage Listed Daintree National Park. 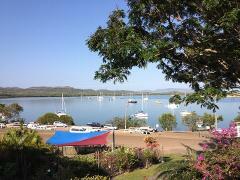 Overnight Cooktown before return fight along the scenic coast of the Reef and Rainforest. Travel north along one of Australia's most scenic coastal drives through the Daintree Rainforest to the historic township of Cooktown. 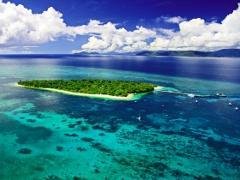 Overnight with a return flight along the scenic coastline with views of the Reef & Rainforest. Combine the best that our region has to offer. 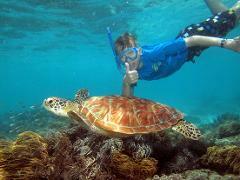 The Great Barrier Reef, Daintree Rainforest & Aboriginal Culture over 2 unique days. 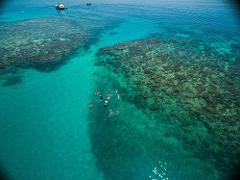 Combine the best that our region has to offer, Great Barrier Reef with Poseidon Outer Reef Cruises, Daintree Rainforest & Aboriginal Culture over 2 unique days. Combine the best that our region has to offer, Great Barrier Reef, Daintree Rainforest & Aboriginal Culture over 2 unique days. 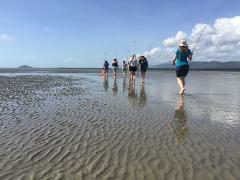 Day 1 is with our partner Ocean Freedom (from Cairns) and Day 2 is our Daintree Dreaming Day Tour. Combine the best that our region has to offer, Great Barrier Reef, Daintree Rainforest & Aboriginal Culture over 2 unique days. 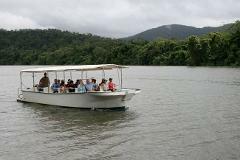 Day 1 is with Ocean Spirit Cruises (from Cairns) and Day 2 is Daintree Dreaming Day Tour. 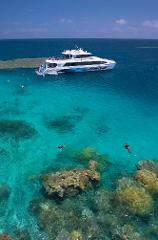 Adventure North Australia has selected the best Great Barrier Reef experiences to package with. Book both Daintree Dreaming and Silversonic's Dive & Snorkel from Port Douglas to experience two World Heritage-listed sites and save. Combine the best that our region has to offer, Great Barrier Reef, Daintree Rainforest & Aboriginal Culture over 2 unique days. Day 1 is with our partner Silver Swift (from Cairns) and Day 2 is our Daintree Dreaming Day Tour. A spectacular 2 day cultural journey taking guests from coast to rainforest experiencing natural beauty and ancient culture of the Kuku Yalanji Rainforest people of Tropical North Queensland. Combine the best that our region has to offer, Great Barrier Reef, Daintree Rainforest & Aboriginal Culture over 2 unique days. 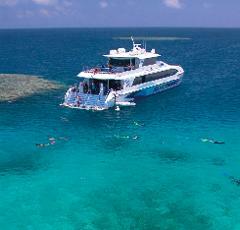 Day 1 is with Quicksilver Cruises -Outer Barrier Reef and Day 2 is our Daintree Dreaming Day Tour. Nestled in the World Heritage Listed Daintree Rainforest, Mossman Gorge contains the oldest, continuously surviving rainforest on earth. 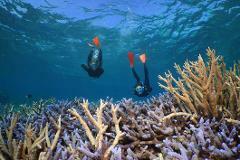 Situated 90 minutes, 80km from Cairns and a short drive 20 minutes from Port Douglas. 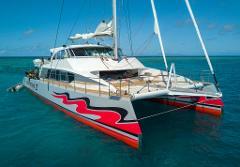 The Wanderer is for the traveller who wants time to explore & relax in both Cape Tribulation & Cooktown. 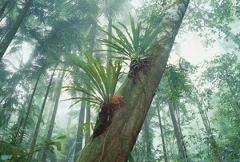 Includes return flight from Cooktown to Cairns along the scenic Daintree Coastline.